Im a local delivery driver with almost 16 yrs experience and preparing to get my cdl license to start a new life and career. Ive driven straight trucks and delivered merchandise since i was 19 yrs old but im not making the money that i need to support my family. Cost of living keeps going up and im tired of struggling to put food on my table and pay bills. For quite some time the last few yrs ive wanted to move up to bigger and better things. And ive decided to use my delivery and driving experience to obtain a cdl license and make much better money. Hopefully the risks that come with taking a chance and getting my cdl certification will not be in vain. Its time to make something of myself once and for all. Need help starting a trucking career. Im kindof in the same boat Kenton I dont make enough money and want to enter the trucking industry. And Ive thought alot about the sacrifices me and my wife will have to make. It wont be as difficult as your situation since you have children. My wife plans on going over the road with me after i get my first 6 months in the Co Im planning on signing with will let me choose to stay as a team or give me keys to my own truck. Since we dont have kids yet we plan on putting all our things in storage since we only have an apartment and she will go with me on the road so we wont have rent and utilities etc. And just come home occasionally and stay with a relative a couple days or a friend. That way we will be saving as much money as possible. Although she will have to quit her job to go over the road with me we will still save alot hopefully. Ive heard the first year is the toughest and me and my wife are trying to prepare ourselves for it. After the 1st or 2nd year we plan on getting a place again and finding me a local LTL job as well. My home town has a ton of LTL companies so with regards to what guyjax said it should be a little easier since Ill be living close to a terminal. Stevon, I know you probably don't want to hear this but I must tell you. Respectfully, I think you need to completely forget about your experience driving 'B' vehicles. It really will do you no good, and certainty isn't any benefit to you in Class A driving. Case in point, my student also drove a 26' box truck for many years. But guess what? He still drove like a driver who hasn't driven anything bigger than a Tacoma. The entire ballgame changes when its 3x longer and 80,000lb and when it bends in the middle. It seems like you talk about it a lot and I even read " Ive averaged 800 to 1000 miles weekly driving locally with 18 to 26 ft trucks so i know i can move up and operate a semi and make better money. Ive backed a boat trailer many times fishing with my dad and grandfather." which really got me worried. Doing 800-1000 miles weekly driving an 18/26' straight truck does not mean you can drive a semi. As far as backing up a boat trailer, that does more harm to you than good honestly. Backing up a boat trailer is completely opposite because the trailer responds much sooner than a 53' trailer. If you try to back up a 53' trailer with what you learned backing up a boat trailer you will jackknife the trailer faster than you can blink. I mean that in a nice way, you'll see what I'm talking about when you get on the road. Driving OTR is a complete lifestyle overhaul. Adapting to the lifestyle is arguably tougher than learning to drive the truck. 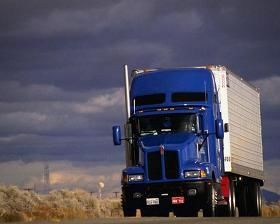 You could take a perfect driver but if he can't live the OTR lifestyle then he won't survive trucking. Experienced drivers always agree, this isn't a job - its a lifestyle. So I really urge you to completely forget about all your experiences with 'B' vehicles. I had to teach a student going from B to A so I have firsthand experience in this. It took me two weeks to break his bad habits he had that he acquired driving a B vehicle. Come into school as a student with no chip on his shoulder and prepare to learn. You'll still go through the same frustrations as everyone else believe me. I'm sure you'll do just fine, just don't rely on your experience with 26' trucks to get you anywhere because that's when bad stuff will happen. Okay i appreciate the advice... And trust me ive already thought alot about it and i know its going to be totally different than driving straight trucks. Ive been trying to prepare myself mentally for this for a long time and this will be the single most challenging endeavor ive ever thought of trying in my life... Honestly Ive never achieved anything great or astounding in my life time. And by all means I never meant to sound like a big shot just because Ive driven straight trucks for so long. I know its going to be hard but Im willing to take the risk. Ive got to do something better with my life. And Im just trying to have alot of confidence going into this. Ive never had much confidence going through life honestly. I never though I was capable of even driving a 18 ft truck when I started when I was 19. I was so nervous when I started delivering. But Im glad someone out there like you is there to remind me that this is not going to be easy. And Im willing to take on the challenge and responsibility head on. Im hoping to just do OTR for a year or 2 then try going to work for a local frieght line like Saia or Averitte Express. Because Im pretty sure I dont want to go OTR for years on end and make a lifestyle out of it. Eventually if I can do this and make it through a sponsored school and go OTR for a year or 2 then I just want to use that experience for local day hauling and be home almost every night. Ive heard that local class A haulers make good money too. Thanks for the heads up though Daniel. I've been driving for a lot of years now. My experience is in rollbacks and wreckers, etc. I have experience in an old 10 spd we had for heavy jobs. I'm looking to upgrade to my "A" and go out on the road. I've towed and hauled everything from formula racing cars to rhinos for the zoo. The only problem is I don't like people all that much. Over the road sounds better all the time I have some questions. I've been reading all the opinions on company sponsored training and private school. Since I've been studying for a while now and have experience in D and C class commercial trucks for around 20 years, which option is best for me? I'm considering just finishing my testing and manuals and getting the license on my own. Not because I'm too good for schools or anything but I'm turning 40 this year and not that interested in going back to a classroom for weeks. Thoughts? Hey man im kindof in the same boat as you ive been driving straight trucks for years and im preparing for A class trucking school. Im from Arkansas and ive spoken with recruiters at Maverick Trucking and they said if i get my A class cdl on my own even without OTR experience they will hire and train. And if you go to school on your own they will reimburse your schooling cost. Keep in mind they are all flatbed trailer haulers as far as I know. I think they mostly haul steel. Yes good job man... Im preparing for school to get my trucking career started but Ive been driving large straight trucks for years and it always pays to be ready for anything.. The best thing for any driver whether your in a car or truck is NEVER follow too closely! Ive seen truck drivers follow too closely all the time in HEAVY traffic and im thinking how the heck are they going to stop that monster if something happens whether someone slams on there brakes or someone like he said "loses a load of hay bailes." Years ago I was in a 24 ft ryder truck with a full load but it only had hydraulic brakes and I was not even following closely and almost rear ended a car in front of me because they stopped so suddenly to make a left turn. Thank goodness most 24 to 26 ft box trucks have air brakes now because they are so much more efficient to slow down with loads. I totally agree with yall... Im preparing for trucking school but Ive been driving only 24 to 26 ft straight trucks for years and even in those trucks I always preferred backing into parking areas because its so much easier to pull out when your faced forward. You already got the backing over-with and all you gotta do is get in and pull out easily. Its just plain common sense. Again i havent gotten a reply on my post earlier from anyone... Can anyone tell me if PAM or USA Truck does urine test only or hair follicle test too? Ive got to be sure because i CAN PASS a urinalysis but i havent stopped using long enough to pass a hair follicle test.. Im desperate here with my financial situation and I need to sign on with a trucking company that will sponsor me to go to cdl school. Ive gotta get this going as soon as possible so i can start making good money that comes with being a trucker. Ive been driving straight trucks for almost 16 years but the money is not good enough. Ive quit smoking before so its not an issue but I need to know for sure if PAM or USA truck only does urine test or hair test too. I cant afford to quit my job and get flunked becuase of the hair follicle test because then ill be out of the job and probably never have the chance of starting a trucking career ever again if it goes on my record. Okay thanks Scott ive been hearing on here that PAM only does UA I just want to be sure, thanks again. Ive got to get going so I can provide for my wife and start a family someday. Im done with smoking. I just wish it was legal nationwide but even if it was insurance companies and DOT and trucking companies would probably still require drivers to be clean. Its not like Ive been driving around in straight trucks the last 15 years with a joint in my hand. I NEVER got high on the job!!! I only did it at home or with friends on MY OWN TIME. And having weed in my system never affected my judgement. Like I said Ive never caused accidents or got hurt on the job. Ive hauled up to 26000 lbs of frieght on 26 ft straight trucks many times and Ive always been very safe and professional and Ive got alot of experience with air brakes and loading and unloading. Ive done this so long that Ive learned how to set my loads evenly on my trucks without leaning to one side or too much weight to the front or rear so the truck rides smoothly with a load ON MY OWN without any training. But no matter because im quitting for good so i dont have to worry about any random screening in the future. Im not dependant on it like addicts are with hard drugs like cocaine or meth. Marijuana is not addictive like all the other hard drugs out there. Alcohol is more addictive than marijuana and WORSE for your health. The only harm that Ive heard that weed has caused is people that are illergic to it but its VERY RARE. And if users in the past had any common sense back in the day they would not have been doing it on the job at work or while driving. Thats probably the main reason it got put on the drug screening list for work places and transportation services. Of course the government demonized marijuana years ago too and called it the gate way drug which is a load of crap because ive never used any hard drugs like cocaine or meth. I cant stand all the hard drugs out there because they are so bad for your health and can literally KILL you overtime. Ive had friends from back in high school that literally ruined there lives doing meth. Ive only used marijuana all these years and my health is great! And Im not a criminal either. I never stole or robbed anyone just so I could pay for a bag of weed. Ive been an honest hard working, taxpaying citizen since I graduated high school with good work ethics. So I dont care what the laws and government think of marijuana. Its not bad at all. Its totally natural. Honestly friekin cigarettes are worse for your health too! Im glad i quit cigarettes when I was young about 19 or so. Because i dont see how people can afford them now! They are expensive as a gallon of gasoline these days and cause cancer! Marijuana NEVER caused anyone to get cancer! I hope some day in the near future marijuana will become more accepted and legalized for medicinal purposes and recreational useage NATIONWIDE! Anyways take care everyone. I cant help that I have such a strong opinion about marijuana. Im just tired of honest hardworking citizens being punished by the system of laws and government for doing something in the privacy of there own homes. And if it was legal then the businesses could distribute it and make money off of it and it would create jobs and boost the economy. But NO one should over be high and drive or operate machinery of any kind becuase it does impair your judgement just like alcohol or any other drug out there. Anyways I cant wait to get my trucking career started and make a new life for myself and my wife who is the love of my life. I LOVE YOU HUNNY!!! Sorry to change the subject, but does anyone know how company's feel about prescription drugs? I went to Iraq in 2005 and have a few anxiety problems from time to time. My Dr. prescribed me a generic form of Xanax. I took a pill back in August, and then a half of on around august 1st. As you can see I don't use them very often, but am concerned that this will stop me from driving. Any Thoughts would be appreciated. Hey Jason im new on here but ive been reading posts on here and members on here have been saying that as long as you show them that your doctor prescribed you with those meds you dont have to worry if they screen you. So as long as you show them the prescription you should be good. Dont hold me to that but its what ive heard on here. And by the way man thanks for your military service. Well im new on here and ive been driving straight trucks almost 16 yrs for a small family company. They never drug tested me and ive been a recrational smoker off and on since high school. I NEVER got high before work or after and NEVER got hurt or caused any accidents. Im very professional. I dont make enough money and i want to move up and get my cdl. I recently stopped using so i can prepare for trucking school. My only issue is im desperate to make better money but i doubt i can pass a hair follicle test. Ive heard that PAM only does urine test and i know i can pass it. Does anyone know for sure if they only urinre test? Ive made up my mind to quit for good but i dont have time to wait for my hair to be clean. Ive averaged 800 to 1000 miles weekly driving locally with 18 to 26 ft trucks so i know i can move up and operate a semi and make better money. Ive backed a boat trailer many times fishing with my dad and grandfather. Did anyone start with PAM? If so did they do urine test only?